How Do You Evaluate Your Agency’s Creative Ideas? | Why Be Tonto? How Do You Evaluate Your Agency’s Creative Ideas? Columbia MBA candidates study companies like Coca-Cola, BMW, Samsung, Procter & Gamble, Apple and Disney. More to this, there’s a comment about products making the rounds. Maybe you’ve heard it. ‘If it was made by Apple they’d run out of stock in no time flat’. 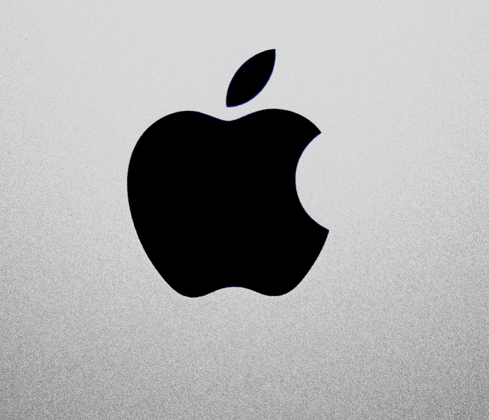 The world’s auto makers might be worried about that as it’s rumored Apple has plans for a car. If the Nationwide dead boy spot were handled any better it might reach the ill-judged level. When you’re enjoying the biggest TV event of the year do you really want a dead child on your screen? Okay, okay … enough about tragedy dampening the spirits. No use tearing strips off on this spot. It’s been given a verbal kicking in just about every Starbucks you could walk into last week. Still, we wondered who approved this commercial? How qualified were they? Which is why we’ve been looking into the MBA courses at Columbia School of Business. What do future marketing directors learn? How do they become effective planners, skillful communicators and active contributors to the bottom line? As you’d expect, Columbia has courses like Corporate Finance, Business Analytics, Managerial Economics, and Investment Banking Tax Factors. ‘Leadership’ also has its place. One course is called ‘Lead: People, Teams, Organizations’. That seems promising in the light of difficulties in companies like Sony, Radio Shack, JC Penny and Tesco. What catches your eye is a course called ‘Strategic Consumer Insights’. MBA candidates study companies like Coca-Cola, BMW, Samsung, Procter & Gamble, Apple and Disney. The focus is on how consumers think, feel and make product choices. As the course description says, ‘It’s designed to help students become astute discoverers of business-relevant consumer insights’. We all need to be past masters of that, right? But what about the creative work itself? Like a script for a Super Bowl spot that lands on your desk for evaluation and approval. Are up and coming marketing directors learning how to judge creative work? Is the strategy, itself, creative? Is the work smart and uncomplicated? significant step ahead of the competition? It’s not readily apparent from the Columbia catalogue if MBA students are taught to think along these lines. Let’s hope they are. But before the above questions and a Columbia MBA at $96,468 a year, there’s one thing that can keep you out of trouble. Isn’t that the best starting point for any Super Bowl spot?